The sun is out and we are set to get even more of it just in time for the bank holiday weekend. Which is great news! As soon as the sun comes out D always asks for ice cream or ice lollies of every kind, I'm pretty sure he'd live on them if we let him. I knew he'd just love the new Paw Patrol Ice Lolly range. Paw Patrol is loved by children all over, I know D is still obsessed with the pups and their adventures. These Paw Patrol Ice Cream Lollies are just perfect for him, they come in packs of 6. Each lolly is individually wrapped in a plain white, sealed pack which protects them once the box is opened in the freezer. The box itself is bright, colourful and features four of the famous pups Rubble, Marshall, Skye and Chase. 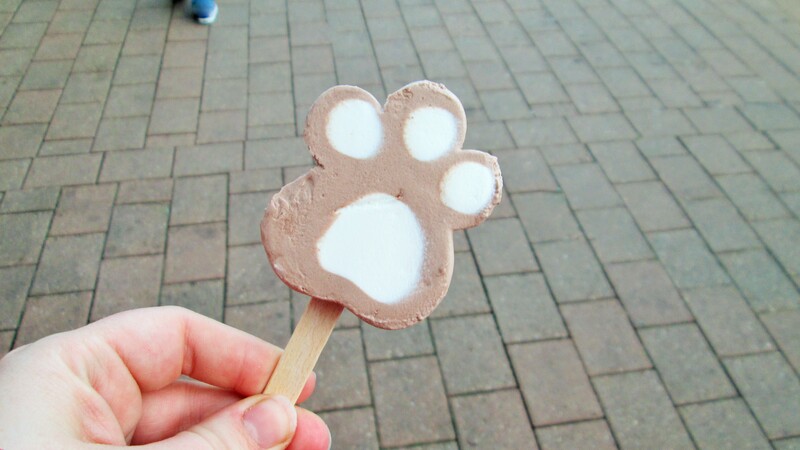 Each of the Paw Patrol Ice Cream Lollies is shaped like a pup print with a vanilla middle and chocolate outer edge. The perfect combination for children. D loved the shape and the flavours. I must say they reminded me of really thick chocolate and vanilla milkshakes, who doesn't love chocolate milkshake? One of my biggest concerns is that D and Baby S are getting a good balanced diet without having too much high calorie foods. The official Change4Life guidelines state that children should be getting snacks which are below 100 calories at the most twice per day. 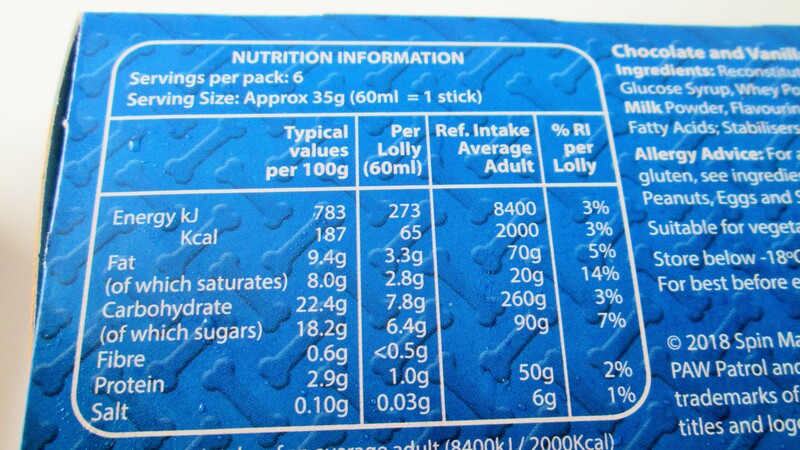 It can be surprising just how many Calories can be found inside ice cream lollies made for children. The Paw Patrol Ice Cream Lolly range is perfect for grabbing and going without any need to worry since each lolly contains just 86 calories! Below the recommended snack allowance. As you can see D really enjoys the Paw Patrol Ice Cream Lollies. He has asked for one every time it has been sunny, didn't matter to him that most days it had just finished raining! He said "This lolly is just so nice" which is as good as it gets for him. Even Baby S has got to enjoy the new range of Paw Patrol Ice Cream Lollies with the great weather. She seemed to wolf them down after lunch! 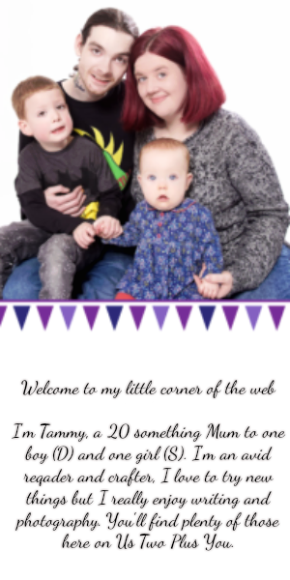 It's great that I can give both children a nice treat which they can both have to enjoy. Admittedly Baby S gets covered in ice cream when having a Paw Patrol Ice Cream Lolly. The new Paw Patrol Ice Cream Lolly range is perfect for the whole family. With the UK heating up again over the coming days these are perfect as a nice snack to keep the children cool while staying inside the Change4You guidelines for snacks. They are perfect for long days in the garden. The lollies keep their shape really well and we found a quick 20 minute trip to the park with a cool bag kept the Paw Patrol Ice Cream Lollies at a good temperature to cool them down after running around. 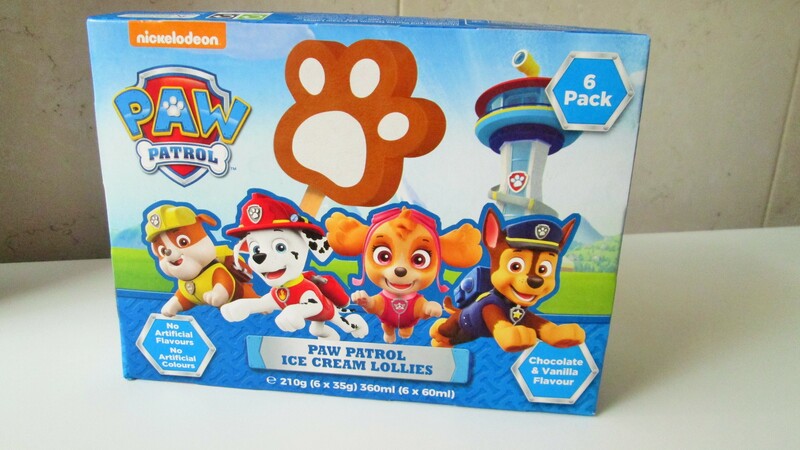 The new range of Paw Patrol Ice Cream Lollies (RRP £2) are available from Asda Tesco, Iceland (using the above link), Farmfoods and Co-op (6 pack). There is also a 4 pack available from Aldi (RRP £1). Disclaimer: The feature products got sent to us for the purpose of this review, all thoughts and opinions expressed are my own. My grandchildren would really enjoy these ices!